Every five years, the Clan MacRae holds an International Clan Gathering at Eilean Donan to celebrate its history, its ancestors and its heritage. Hundreds of MacRaes gather from all over the world to take part in the celebrations, and the last one was held during Scotland’s Year of Homecoming in 2009. The event itself normally lasts about 5 days, with a multitude of organised events taking part in the local area. 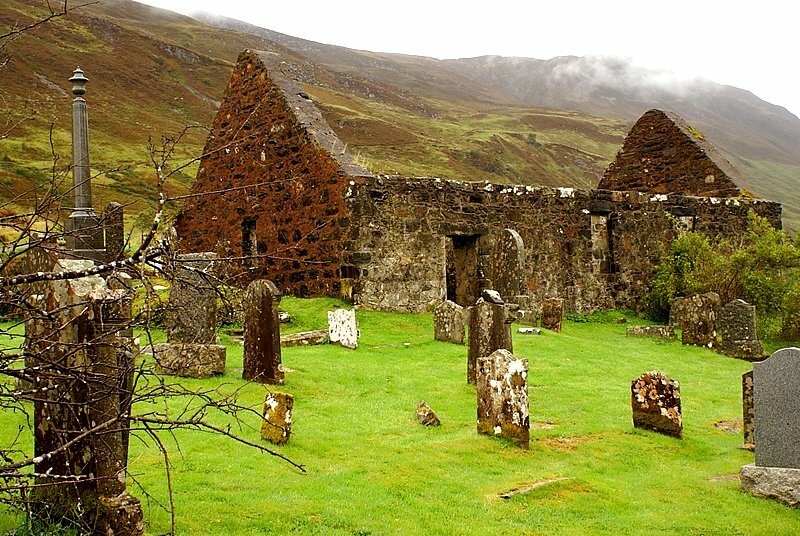 One of the events which is held on a Sunday, is a morning gathering and rememberance service at Clachan Duich, the ancient burial ground of Clan MacRae, which I have already blogged about in September last year. I know how many MacRaes are on the Facebook page who have not yet managed to attend an International gathering and I’m also aware how revered Clachan Duich is to many, so I’m posting up a short montage of video of assorted photographs from the 2009 service, courtesy of Sal Nocitra, who put the whole thing together. It is accompanied by a wonderful piece of music which is some six hundred years old called “Spaidsearachd MhicRath” or, in English, “March of the MacRaes”. Although it’s played on a keyboard, I really look forward to eventually hearing it played on the pipes by Jimi MacRae, the Clan’s piper who is featured in many of the photos you will see. hi, when I clicked on the link above to watch the video it says video removed….. couldn’t find a way to see it. Can you check your link again or tell me what I’m doing wrong? What a wonderful blog providing great insight to such a special place & the people connected to it! Thank you for sharing the link with the Clan & friends of Eilean Donan. It was truly a wonderful weekend event put on by the MacRae Clan & the entire staff of the castle. Everyone involved were very gracious hosts, who welcomed us from around the world & made our homecoming a journey to always cherish & remember. If you ever have a opportunity to visit the Castle, I would highly recommend it… & there is a great chance that & the highlands will be forever connected to your soul. I have posted an updated version of the video on YouTube that should take care of any browser issues that may arise. The images are also clearer as the new video is not compressed like the Facebook version. A special thank you to Jimi McRae for allowing me to use his beautiful score of the ancient song to set the majestic tone & tell the tale of that special day.